Fruit in its finest form. Did you know that water has memory? It does, and so do fruit juices. They remember everything. They remember the fruit that they came from. They remember the hands that collected it. They remember the sun the fruit grew under, and whether those trees were disgraced by pesticides. This is why the BioPlose juices and nectars are so tasty. Remember this next time as you drink one. Pay attention to its history. Its memory can become yours. Dedicated to those who love beauty but have a strong weakness for goodness, BioPlose Pomegranate is the nectar that combines the antioxidant and anti-aging properties of pomegranate with the natural taste of the best organic fruit. Dive into a natural drink experience. Well known for its many beneficial properties that promote beauty, the pomegranate delivers concentrated nutrients to the skin such as vitamin E and flavonoids that are moisturizing and anti-aging. Like all the other BioPlose juices, Pomegranate nectar contains only organic fruit. We never use preservatives, coloring agents or GMOs in order to preserve the natural properties that our fruit already has. The 20cl format is the ideal solution for a bar that wants to offer its customer a distinctive high quality product. Find all the antioxidant properties of blueberries in this full-bodied, rich tasting nectar. Naturally dark in color with a pleasantly delicate texture, it gives you all the flavor and the wellness of the fruit fresh off the bush. 100% organic. The blueberry is particularly rich in antioxidants, which are substances that improve blood circulation, help prevent cellular aging, and promote excellent vision. All the natural properties of the blueberry are alive and well in BioPlose Blueberry Nectar. There are no preservatives, artificial colors, or GMOs. The berries are grown by companies operating exclusively sustainable agriculture, such as BIOLAND South Tyrol & associated companies. The velvety taste of fresh fruit. Only the best organically grown peaches become BioPlose Peach Nectar. Unmistakable and inimitable in its simplicity each sip pits fresh emotions against nostalgia. The addition of grape juice makes the taste even softer giving on the palate a lovely hint of sweetness. The peach is 90% water, and it is particularly rich in vitamin C. It also contains sugars easily absorbed by the human body as well as many organic acids including malic acid, tartalico acid and citric acid. It's naturally low in calories, with only 32 per 100 grams of juice. All peach properties occur naturally in BioPlose Peach Nectar that, like all BioPlose products, is made exclusively with 100% organic ingredients, no preservatives, no coloring agents, and no GMOs. Like all BioPlose juices and nectars, it must pass the strict controls of independent certification centers recognized by the European Community. The summer in a bottle. "Juice" par excellence, BioPlose’s apricot interpretation is a full-tasting apricot nectar. We only use apricots that have been grown organically, carefully cultivated, and processed passionately. We have nothing to add to the sun that has colored them day by day besides a bit of grape juice to balance out the flavor. The apricot contains many natural vitamins and minerals, particularly reinvigorating in cases of fatigue, during injury recovery, for children and adolescents through their developmental stage, and for indicated for seniors. Is delivers crucial nutrition for a healthy and balanced diet. BioPlose Apricot nectar contains no preservatives, coloring agents, or GMOs and is subjected to strict regulations monitored by independent certification centers and recognized by the European Community, just as BioPlose products are. A tree in a glass. In a bottle of BioPlose pear nectar you will find not only pears but the entire pear tree, with all its strength and vitality. The care with which the trees are grown is the real ingredient in our organic fruit juices. All we do is take the fruit and put it in the bottle, adding a little grape juice and a few drops of lemon juice to create the perfect taste. The fruit of the pear has a high fiber content which stimulates the intestines, is naturally rich in vitamins A, B1, B2, C, E and contains sorbitol, a substance that aids digestion and has a key role in safeguarding teeth. It has a well-known laxative and diuretic effect, thanks to the abundance of pectin. Nectar Pear BioPlose retains all the nutritional and organoleptic characteristics of the pear. It is 100% organic like all BioPlose juices, it contains no preservatives, coloring agents and GMO. All the vitamins you need. Dedicated to those who want energy, health, and flavor in one unique glass, the BioPlose Orange Carrot nectar combines the vitamins in oranges with the health benefits of fresh carrots. By adding a little grape juice from concentrate and apple juice, all strictly organic, the taste falls into perfect balance. Orange Carrot is the BioPlose interpretation of juices normally found on the market advertised as "ACE." The difference is that BioPlose Orange Carrot is 100% organic juice prepared from a recipe that enhances the flavors in a natural way, without chemical additives. A difference you can perceive with the first sip. Oranges, thanks to bioflavonoids and vitamin C, promote the strengthening of bones, cartilage, tendons, ligaments, and teeth, not to mention the beneficial effect they have on the immune system. Chock full of fibers, alpha and beta carotene, and vitamin A, carrots provide nutrition essential for growth and development. They are also loaded with antioxidants that guard against the harmful effects of free radicals and prevent weak eyesight. Like the other BioPlose products, Orange Carrot nectar does not contain preservatives, coloring agents or GMOs. With the right balance between sweetness and acidity, BioPlose Pineapple juice maintains all the freshness of organic fruit and all the energy of the tropical sun. Pure pineapple for a pure flavor explosion. Among the most important benefits of pineapple is an enzyme called bromelain, which has anti-inflammatory, immunomodulating, and decongestant properties that help the immune system to regulate itself. Pineapple also contains papain, which helps the digest proteins. Today, you can capture all of these benefits with a bottle of BioPlose Pineapple Juice, the natural elixir of flavor and wellness. Like all BioPlose products, the pineapple juice BioPlose contains no preservatives, coloring agents or GMOs. The irresistible temptation of purity. Just apple juice, always organic, no secrets. Its taste is the natural taste of apples, a unique first choice ingredient bottled with the utmost respect for the environment and the fruit’s seasons to preserve all its natural qualities. Each sip is a crisp bite in disguise. Health symbol par excellence, the apple is the fruit of infinite virtue, as long as its organic. Particularly rich in B vitamins, it helps to reduce stress, aid digestion and strengthen the immune system. To preserve their quality, the apples that will become apple juice BioPlose have never been introduced to pesticides or chemical treatments. Instead, they come from orchards in balanced ecosystems that promote the healthy development of the fruits without human intervention. Like all of BioPlose’s juices and nectars, BioPlose Apple contains no preservatives, coloring agents or GMOs. BioPlose Orange juice is a bottle of fresh oranges selected to bring you all their delicious energy. Made exclusively from 100% organic fruit, it contains all the energy of the sun and all its organic strength. This juice is for lovers of pure energy. The vitamin C found in orange juice is good for the body all year ‘round. Strengthening the immune system, vitamin C increases resistance to disease, also the production of antibodies, and stimulates the synthesis of interferon. It also allows better absorption of iron and has useful anti-anemic properties. BioPlose Orange juice has all the characteristics and taste of freshly picked oranges. Like all BioPlose juices and nectars, BioPlose Orange contains no preservatives, coloring agents or GMOs, and you can enjoy it at home and at the bar. The sun in a bottle. We use only organically grown grapefruits to give you all the flavor and the energy of the sun under which the fruits patiently mature. 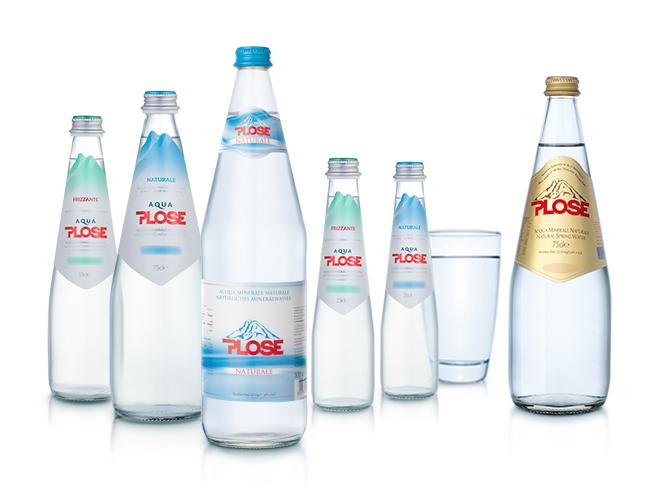 Dedicated to lovers of pure grapefruit, our BioPlose interpretation is a well-rounded fruit juice without compromise. Inimitable in its unmistakable sweetness underpinned by the tart notes that make a grapefruit a grapefruit. Rich in vitamins A, B, and C as well as nutritional fibers, the grapefruit also has disinfectant properties and stimulates proper digestion. Flavonoids, and powerful antioxidants help to prevent cardiovascular disease. Grapefruit is also loaded with essential mineral salts such as potassium, calcium, magnesium and phosphorus. These nutrients are all found naturally in BioPlose grapefruit, made with 100% organic ingredients, no preservatives, and no coloring agents or GMOs.